What a surprising image, I’m very curious to know more about it. Fantastic work from a very tragic situation. Thank you, Ross. And thanks for having me here. It was really bad down there, but many locals said they go through it every now and then. This year was one of the worst, though. There was quite a bit of luck, being in the right place, at the right time and seizing the opportunity. The photo is of Lorin Doeleman. 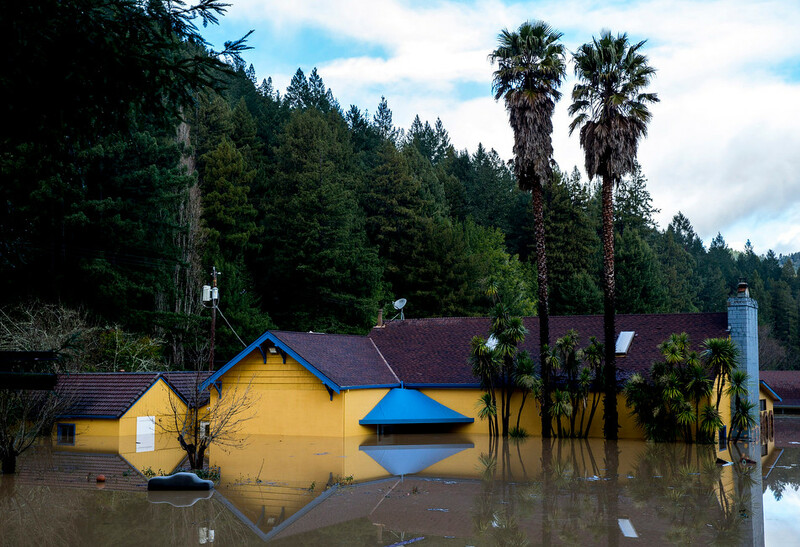 Her house sits next to the Russian River in Guerneville, California and a flood reached the lower level of her house. 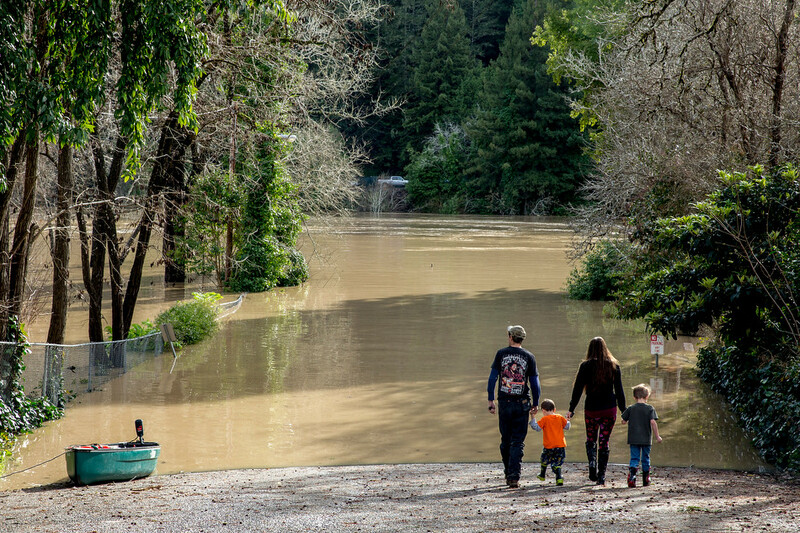 The Russian River surged to its highest level in a decade, nearly 38 feet, forcing hundreds of people to flee to higher ground. 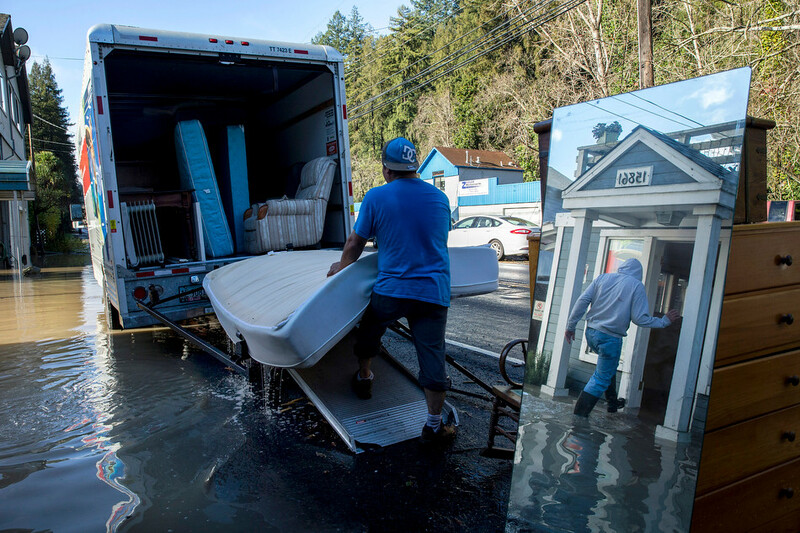 More than 500 homes were expected to be damaged by the flood. Doeleman said she was moving her belongings to her Sacramento home. To begin with, can you talk about some of the logistics of the beginning of the shoot. How did you work the situation, etc. when you first arrived? The night before, my editor called saying a photographer had an emergency and couldn’t make it to Guerneville. So I took the assignment. I researched the city on Google Maps and read the most recent news coming out of there. I had never covered a flood before. I was nervous. I definitely wasn’t as prepared as I wanted to be. With only the night to prepare, all I came up with were some ski pants, hiking boots, layers of clothing and towels. In the trunk I put some plastic bags, rope and carabiners. I got to Guerneville at 9 a.m. The destruction was immediately visible. I had to stop to survey the land and take it all in. Along the road I spotted Burke’s Canoe Trips. Ironically the entire site was flooded. The only thing above water was the business sign that first stopped me. I found Burke, the owner, sitting in his truck staring at his flooded business. He seemed miserable. I didn’t take his picture. For the next mile or so I saw houses and roads flooded. I saw vineyards destroyed. I wanted to stop, but I didn’t see anyone there. 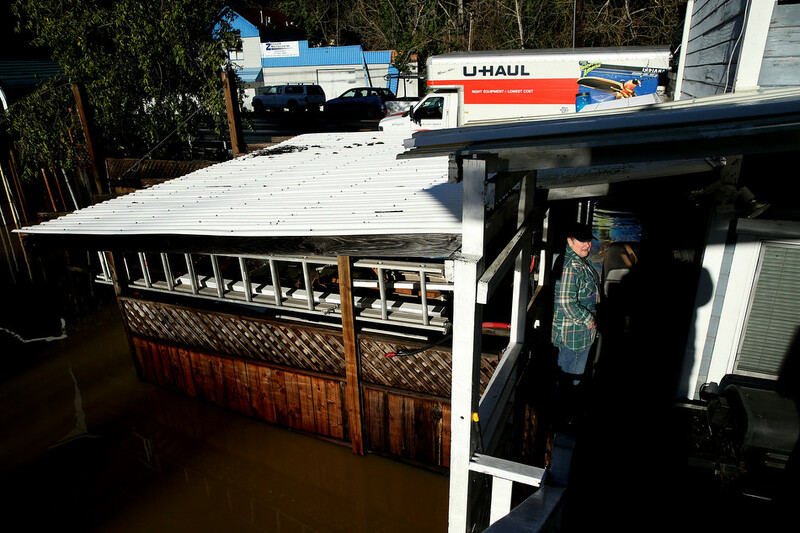 I didn’t stop driving until I found a U-Haul truck outside a flooded home. It was Lorin’s home. 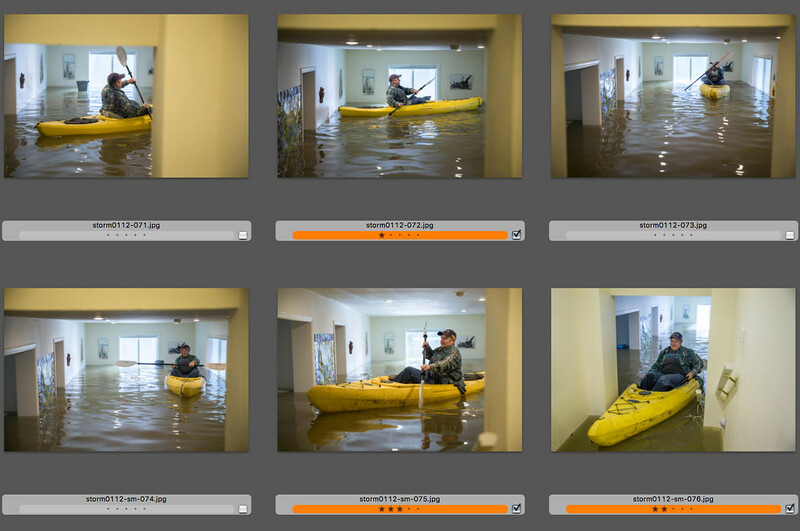 Working in flooding areas are incredibly complex and difficult, and I’m always curious how photographers problem-solve. What problems did you face while you where there, and how did you overcome them? There were some areas I wish I could get to, but it was impossible without a kayak. Also, I’m not a very good swimmer. I knew I had to find spots where I could look down into the flooded areas. River Road, the main road there, had good vantage points to a lot of areas, but I couldn't stop at times because the flood had started spilling onto the road. So I parked at a distance and walked along the road. 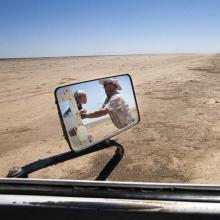 The biggest challenge by far was getting access to people. Both allowing me to photograph and actually reaching them in the flood. After Lorin, I spotted a woman looking at her flooded neighborhood from her porch. She was maybe a couple hundred feet away, but I couldn’t reach her because of the flood. She was gazing at the destruction. I took a few frames and started to wave for her attention. She finally broke the gaze, and I introduced myself. I had to raise the volume of my voice for her to hear me. I asked for her name, and she said it was Mindy. I had her spell it out for me, and she had to yell it out. Before I could grab her last name, an agitated man walked out from her door and told me to scram. We chatted for a bit and he dropped his guard down, but I thanked them both and respected the man’s wishes and drove away. What did you learn about yourself during this shoot? I’m also intrigued by what photographers learn about themselves during situations like this? I learned to trust my intuition and instinct. I initially drove past Lorin’s U-Haul truck. I thought I’d drive downtown where there’s more people and start from there. As I drove past the truck, my gut said to go back. So I hit the brakes, I put the car in reverse and parked nearby. I’m also learning to be more loose, comfortable and confident during assignments. In my assignment summary, the first thing I saw was “A1 CP.” It meant that the pictures I’d make that day were going on the front page for the main story. There’s definitely a bit of an adrenaline rush and a drive to work harder. It’s also a bit nerve wrecking sometimes, but I feel like I work my best under pressure. What did you learn about others? People find their own ways to cope with a natural disasters. A theme I saw throughout the mess was humor. I came in with a soft voice expecting people to be in distraught. There were many people in distraught, but I found just as many people having fun and making the best out of what had happened. Lorin said she went on the kayak earlier before I got there to rescue a treasured bottle of brandy. She posted her kayak photo with the rescued brandy online and it went viral. She said she was just trying to have some fun with it. She was grateful that no one was hurt and the house could be fixed. Around another flooded neighborhood, I found people racing in their kayaks. 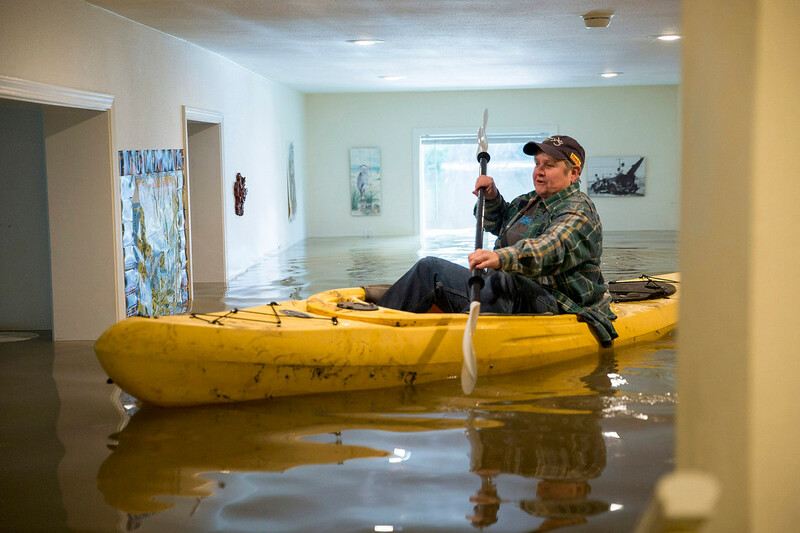 I saw another kayaker go through a flooded gas station to “pump gas” into his kayak. 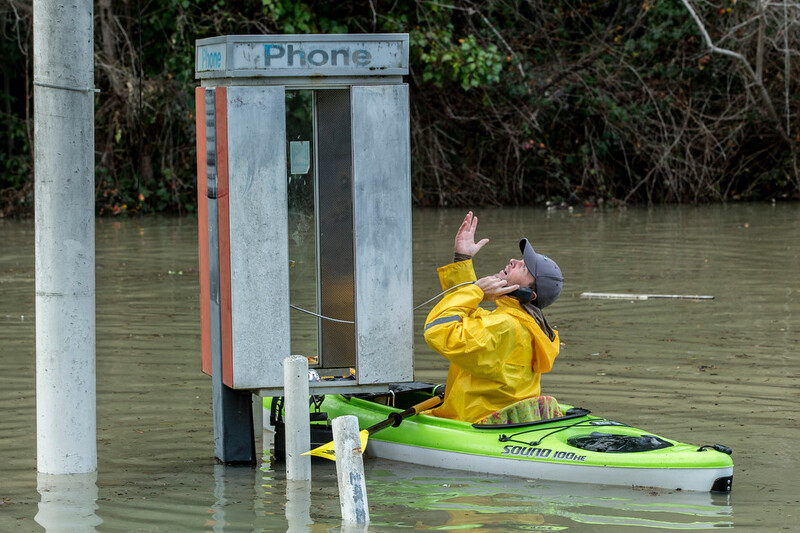 That same person checked a flooded telephone booth and was surprised it still worked. His face looking up into the sky with a clueless face was priceless. I couldn’t help not to laugh. What surprised you most about photographing the scene? After heading out from Lorin’s home, I came across a bridge that I could walk over the Russian River. It was pretty incredible to see the beast of a flood with my own eyes. A local chatted me up and pointed out the nearby Johnson’s Beach. I tried imagining a beach there, under almost 40 feet of flood water, but I couldn’t. After, I went to River Inn Grill to grab a bite and edit photos. On my way out there was a beautiful, old photo mounted on the wall showing hundreds of people at a beach. It was the kind of photo you’d see on a postcard. I walked a little closer to the photo. In the background of the image, I found the bridge I was just standing on. I was in awe. I was already amazed by the destruction of the flood driving around town, but to compare the before and after was a bit eerie. Now, onto the moment. Can you tell us what was going on in the lead picture and how you worked to execute the picture? I had just finished photographing workers move Lorin’s belongings into a U-Haul truck. I was following her for about an hour or so, and I thought I had a good mix of photos. I went back into the flooded home to find Lorin to thank her. That’s when I found her on a kayak. A videographer was there in front of me in a tight hallway, so I worked around his movement. The hallway I was in led to a staircase down to the living room, where Lorin was on her kayak. The hallway was flooded only a couple feet, but the living room was about five feet. As the videographer recorded, panned and moved, I danced around him. I kept my camera on silent mode to respect his video. I crouched down to get a better angle and waited for what I thought were good times to press the shutter. I got wet, but the camera was fine. I took about six or seven frames and waited for her outside to thank her and I went back into my car and drove away. It took a couple minutes from when I went back in the house to find Lorin, took photos of her in the kayak and back out the house to let the videographer finish. I didn’t think much about those photos until later in the day. What was the reaction to the photograph and did the person you documented see the frame? It was pretty cool to get an email from the editor-in-chief Audrey Cooper when she was on vacation. She praised the photo. I just told her I needed a hot shower after that one. My editor Alex Washburn said I was doing well, and it was a good boost to continue working the scene. Our deputy metro editor Demian Bulwa posted it on his Twitter account and that’s when it blew up. 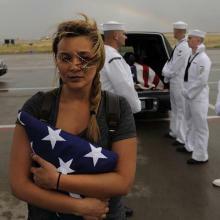 The photo was picked up by the Associated Press and published in some newspapers around the country and made some photos of the week. I sent a message to Lorin to tell her it was published on our front page. She thought it was awesome and had a good kick out of it. In conclusion, do you have any advice for photographers in working situations like this? 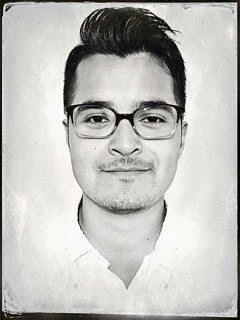 Santiago Mejia is the newest member of the San Francisco Chronicle photo staff. He grew up in San Francisco's Mission District and is a member of the National Association of Hispanic Journalists, as well as an alumnus of the Chips Quinn Scholars Program and The New York Times Student Journalism Institute. Mejia, age 23, joins the Chronicle following an internship at The New York Times.